Judging from my previous posts, I’m sure you guys have been able to deduce that I haven’t really been having the best time in Greece. I felt like an old granny in Corfu, was a little taken aback by the graffiti all over Athens, and I was practically Tom Hanks in Castaway at Naxos. 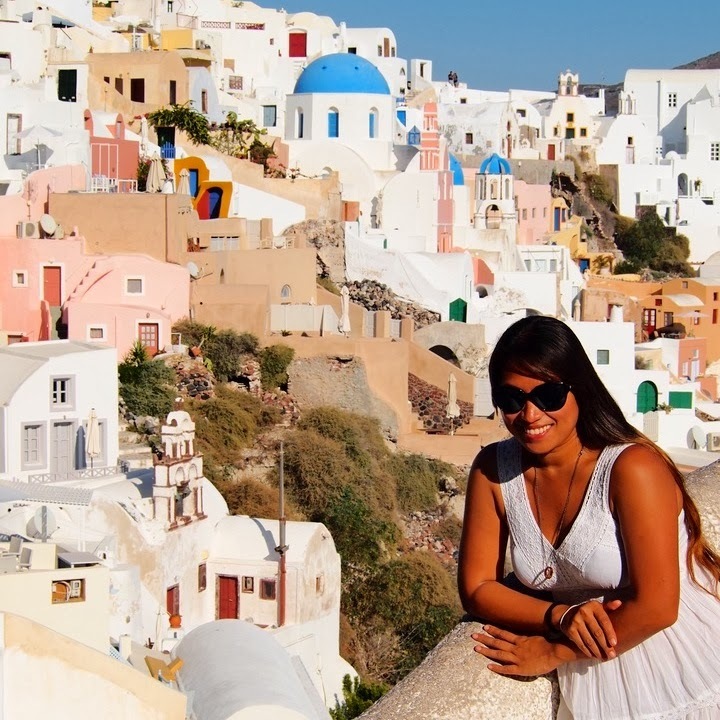 I was honestly ready to write Greece off as an utter disappointment – until I got to Santorini. Ah. Santorini! Thank goodness for Santorini! There is a reason why this little island is so popular among tourists. Even some of the Greek locals from the other islands admitted to Santorini’s picturesque beauty and appeal. It really is, breathtakingly beautiful. I love photogenic places. The way the houses are built alongside a cliff/mountain reminds me of Cinque Terre. Super charming, colorful and cute! Santorini has several different towns… The capital being Fira, where I stayed. I lucked out on the hostel that I found. 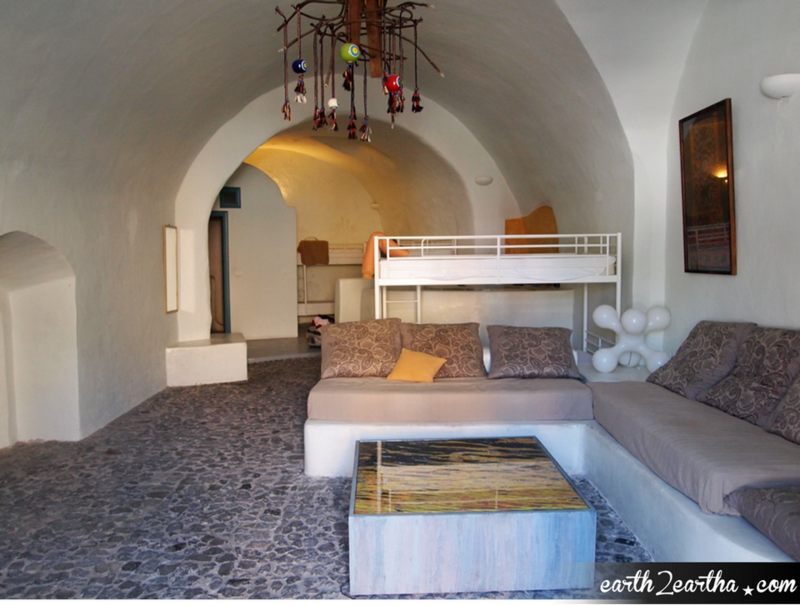 It’s called, Caveland, and you literally stay in rooms that look like caves… and they are magnificent! It’s a bit of a walk to Fira, but the price, cleanliness, beauty and overall experience of the hostel makes the 25 minute journey on foot worth it. I have to admit to being one of those… I couldn’t help but agree to pay for a 6 Euro beer and an 8 Euro Greek Salad to sit and watch the sunset from this viewpoint. 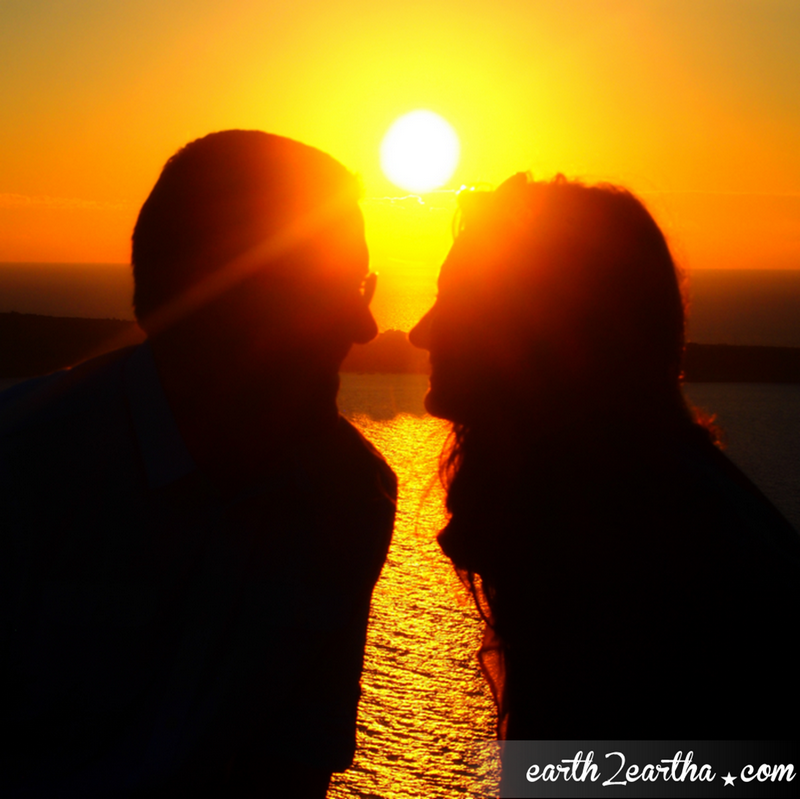 Pronounced as “Ee-yah” is another town north of Fira, even more popular for the views and the sunset. Oia’s views are what we normally see on postcards and photos around the internet. I personally like Oia better than Fira, even if both are so similar in appearance. Oia just has a more chill vibe, and in my opinion, more photogenic. Same View - Different Light. Sunset! I did a Santorini Island Ferry Tour and met quite a few other travelers! And a new friend from Melbourne, who is now my new Greece travel buddy! Catherine is one of the guests staying at Caveland with me, who I later found out, has actually read and been following my blog! She found the review I did on the backpack that she purchased months ago, and it dawned on her that it was MY blog when I gave her my business card! It has been an AMAZING few days in Santorini. I’m SO happy that it single handedly changed my mind about Greece. I am no longer disappointed. What I am now, is pleased and content. Greece actually IS what everyone made it out to be. Well, at least, Santorini is. Perfect Sunset brought to us by Oia. 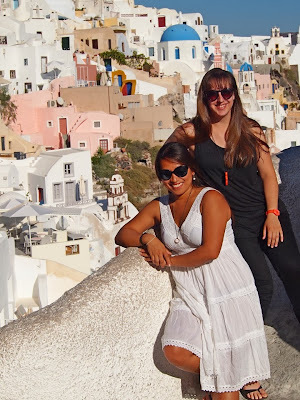 As my Big Fat Greek Adventure ends… another one soon begins. Next time you hear from me… I will be in the holy land of Israel.